Q: What is the Gift Day? A: It is an opportunity to make a financial response to God’s generosity to us. A: The church sets a date for the response and individuals are encouraged to either make a one-off donation on that date or to review their regular giving and make a pledge on that date. They can of course do both. Q: When is the Gift Day in 2018? A: The gift day is set for October 14th. Q: Why hold the Gift Day now? A: Harvest is a time of year when we reflect on God’s generous provision for us and it is an ideal opportunity to reflect on our financial response to all that God has done for us as individuals and as a church and community. Q: Who does the Gift Day apply to? A: Anyone can make a donation but the focus on Gift Day is for those who consider themselves a member of St John with St James. So for example if you come regularly to one or more of the congregations or you are on the electoral role then the Gift Day is for you. Q: How important is it that individuals give to support the Parish? A: Support from individuals is vital. We work hard to rent out the rooms at the church when they are not being used for church purposes and we are currently renting out both of the houses we have but this only generates 25% of the income we need each year to meet our costs. St John with St James does not receive any funding from central government; all the rest of our income has to come from individual donations and from the tax which we can recover from HMRC on donations that are Gift-aidable. Sometimes we do fundraising for specific items such as the carpets in the Crypt. Q: How much does it cost to run the Parish? A: The total cost is around £1000 per day. Just insurance heating and lighting for the St Johns church building so it is warm for when it is used costs £400 each week. More detail on how the money is spent is shown by the pie chart on the church website Gift Day page and on hand-outs at church. Q: Do you expect the income this year to be enough to pay the bills? A: The best forecast we have suggests that at the end of the year the income will be about £10,000 less than the expenditure. This is only a forecast and it could easily be wrong. If we need to we will use reserves to pay any bills we can’t meet from our income. Q: So does that mean you are hoping to get £10,000 extra from the Gift Day? A: That would be a very positive outcome. However I do not like to set any limit as God’s generosity goes far beyond our expectations and He may move people to give far more than that. Q: You mentioned making a response and pledges earlier on how does that work? A: Firstly prayerfully review your financial position. Then if you are going to make a one off donation please make it in whichever way works best for you (Cash, cheques and online transfers are all welcome). If you can do that on the 14th that would be very helpful but if you are away then the next time you come to church will be just fine. Many people give regularly by Standing order. If you are changing the amount you give by this method or you want to start giving this way then you can either give your bank instructions directly or you can complete the relevant section on the response form and we will pass on your instruction to the bank for you. Some people give in other ways such as through their Employer’s Give As You Earn scheme, or via a charity such as Charities Aid Foundation. We also have an envelope scheme if that would suit you better. If you want to know more about these options please complete the contact form on the website or speak to the me. Whatever the response we ask that you complete the response forms, even if it is no change and no one off donation and return them to me. This will help the PCC as we plan ahead. Q: If I give by standing order does that tie me down to always giving that way? A: Not at all. Circumstances change and individuals are free to change the amount at any time and to cancel their standing order at any time; a few people do this each year. Q: Who will see the information that I put on the response form and how will it be used? Where you have asked us to set up or change a standing order on your behalf the forms will be passed to the Finance Manager who will make that happen. Where you have completed a new gift aid declaration the information from the form that is needed to claim the gift aid tax will be passed to the Gift Aid Secretary. They will not be passed the forms themselves. The Book-keeper may be instructed to change the amounts for the standing order for a person in our accounting system but will not be given individual address or bank details. 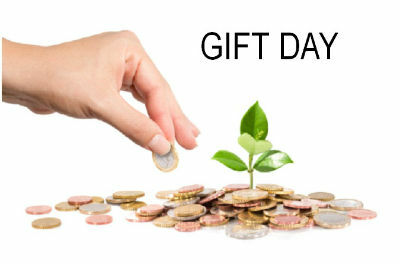 All reporting on the Gift Day will be done at an aggregate level. If you have any other questions please do contact me.